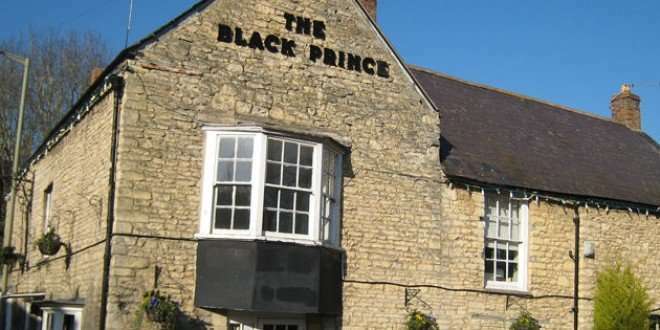 The Black Prince is a 16th century pub situated opposite to the grounds of Blenheim Palace and on the bank of the river Glyme. It boasts a delightful riverside garden for you to enjoy the summer sunshine overlooking the calming river. Inside the pub there are two roaring log fires, stones walls and a traditional suit of armour. We are well known in area for our excellent q uality and variation with our real ales and regularly appear in beer publications such as ‘The Good Beer Guide’ and ‘Beer On Tap’. If you are looking to dine with us you can choose from our wide range of traditional British home-made meals, including or very popular ‘Food for a Fiver’ menu. For a lighter bite at lunchtimes we offer a selection of freshly made sandwiches and toasties alongside our main menu. There is also our ever changing chef’s daily specials board. We are well known for our treatment of all our dog visitors, and take pride on being Woodstock’s best dog friendly venue. Well behaved dogs might even get treated to a biscuit or two from our dog loving staff! We frequently cater for large groups of walkers looking to relax after enjoying one of the many countryside strolls available in the area, including the stunning scenery on view as you walk around the lake of Blenheim Palace. During the summer months, why not come along and watch The Black Prince Aunt Sally teams in action. Aunt Sally is an outdoor sport which involves throwing ‘sticks’ at a ‘dolly’ to score points. It is a traditional pub game only played in Oxfordshire and some parts of Gloucestershire and has to been seen to be believed! Matches are usually played on Mondays, Wednesdays and Thursdays, starting at 8:30pm. When the cold temperatures arrive and the Aunt Sally players have put their sticks away for the winter, the pub operates a fun general knowledge quiz every Thursday evening. It is open for all to enter and offers cash and drink prizes, with some nibbles put out at half time. The quiz starts promptly at 8:30pm. All in all, The Black Prince is one of Woodstock’s finest venues to visit for food, drinks and a general good time. Just don’t forget to bring your dog along to say hello too!